What might sink in the spring? "I don't know what happened: the boat was sitting there on the bottom." 2. If the owner is unaware of leaks because the automatic bilge pump dutifully kept the bilge dry during the warmer months, the battery and bilge pump may go dead over the winter. Water accumulates. 3. A poorly attached hose (secured with only one hose clamp) can be "lifted" off the seacock as the water freezes and expands. 4. If water is left in the intake sea strainer, it can freeze and break the bowl. 5. If a stuffing box isn't tightened before the boat is laid up, even small amounts of water - steady drip - can eventually swamp a boat. My own experience with boats is at the parking lot in Port Dalhousie where they are being stored. Some are for sale. Of course, I am looking for the scrapes and scratches on the bottom that make good photo opportunities. 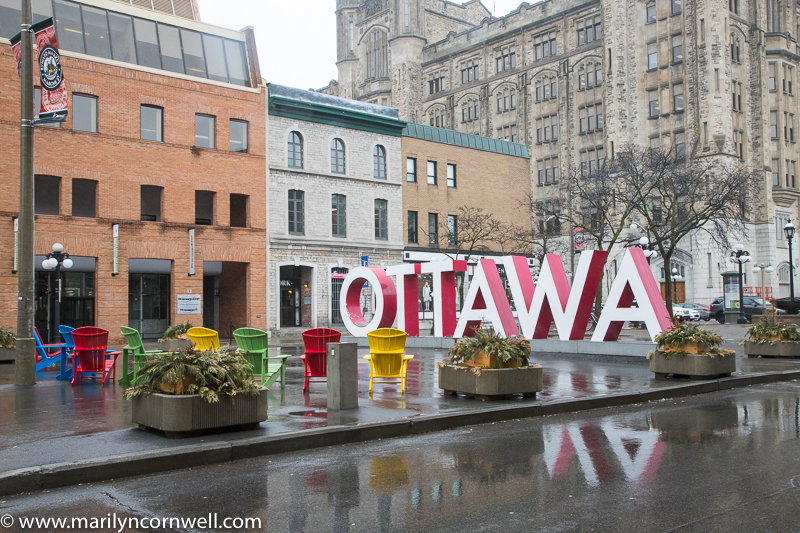 Ottawa has its namesake sign, complete with muskoka chairs. 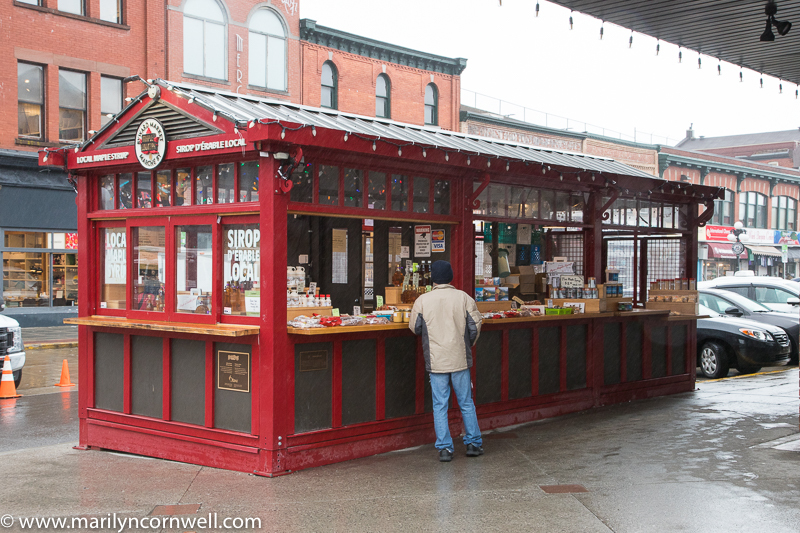 This will be a busy scene in the summer when tourists arrive. 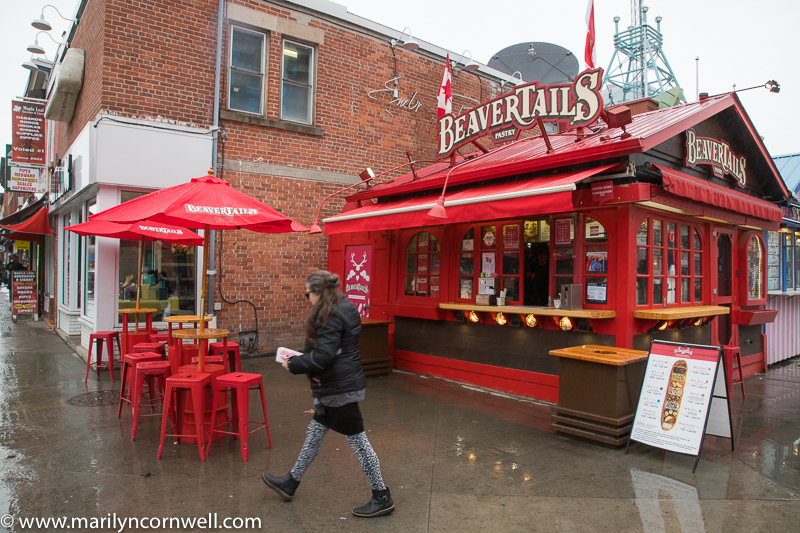 The market is a tourist attraction with the beavertail pastries and maple syrup for sale.